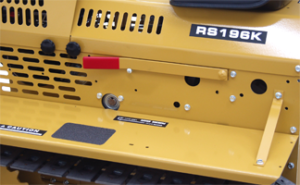 The MAGNATRAC® RS196K small bulldozer is the “Younger Brother” of our super-successful RS1000. It shares many of the same components, like the chassis, tracks & sprockets from the assembled RS1000, the difference is: it’s a no frills, D-I-Y kit, so you do the painting and Assembly….and save a bundle! If you’re looking to pull smaller logs, make a garden, grade a driveway, plow snow, this may be the perfect machine for you. Many manual attachments are offered for the RS196K, including: rippers, blades, rakes, box scrapers, draw-bars, and a handy 2″ receiver hitch: perfect for towing wagons and self propelled garden tillers. Customize this small bulldozer the way YOU want it! – Want to use your own engine? No Problem! We now offer the RS196K without the engine! See Our Most Popular MAGNATRAC RS196K Package Prices! 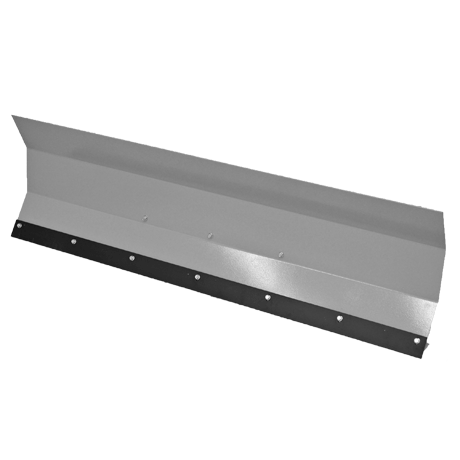 Click Here to See Pricing!#K40 – Dozer Blade Package – Other Packages Available, Click Here to See More!#K42 – Dozer Blade, Bucket Mouth & Ripper Package – Other Packages Available, Click Here to See More!#K44 – Dozer Blade, Snow Blade & Rubber Shoe Package – Other Packages Available, Click Here to See More! 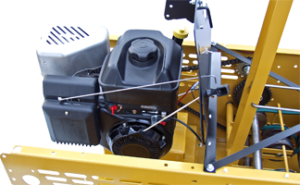 3 way manual angling FREE dozer blade package allows you to effortlessly grade gravel driveways, plow snow, push logs. 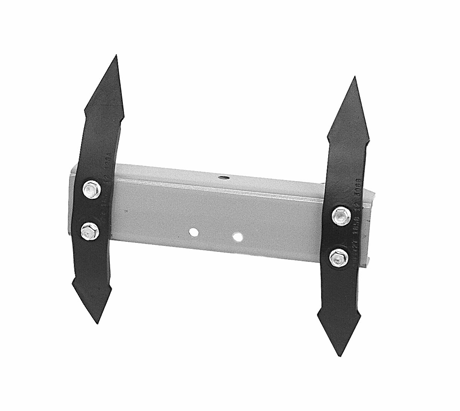 Optional bolt on bucket mouth, (not included in the K40 package) allows you to carry a couple hundred lbs of rocks, concrete, mud or driveway gravel, etc. Dumps with simple hand lever. Replaceable cutting edge allows for years of tough work. Dozer blade, bucket mouth and ripper package allows you to effortlessly grade gravel driveways, plow snow, push logs. Dozer blade is FREE with this package. Bolt on bucket mouth allows you to carry a couple hundred lbs of rocks, concrete, mud or driveway gravel, etc. 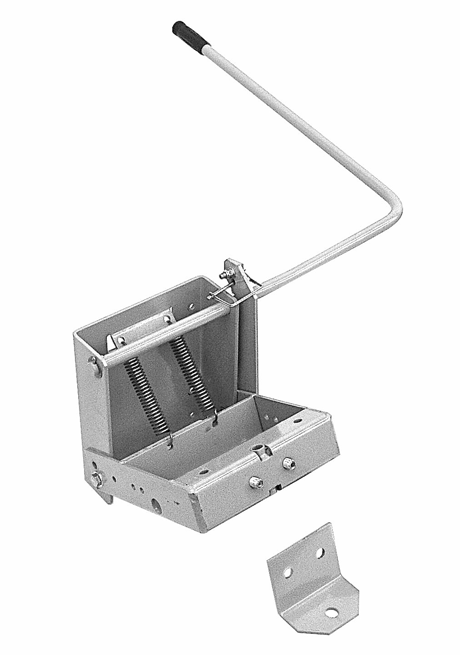 Dumps with simple hand lever. Replaceable cutting edge allows for years of tough work. 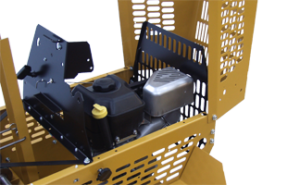 Manual rear hitch allows you to pull garden carts, tow-able garden attachments, etc. Ripper allows you to loosen up gravel driveways before grading, to make gardens, etc. 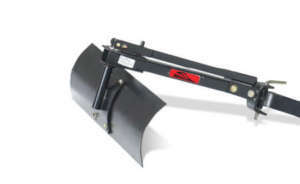 Dozer blade, snow blade and rubber shoe package allows you to push logs, effortlessly grade areas for a patio and plow snow without marking up your nice driveway. Dozer blade is FREE with this package. 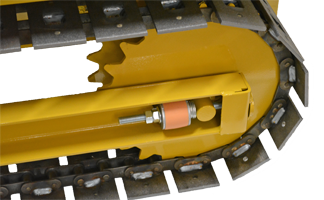 Replaceable pads on rubber shoe kit, cutting edge on dozer blade and snow blade allow for years of tough work. Perfect starter pacakge with hydro attachments. 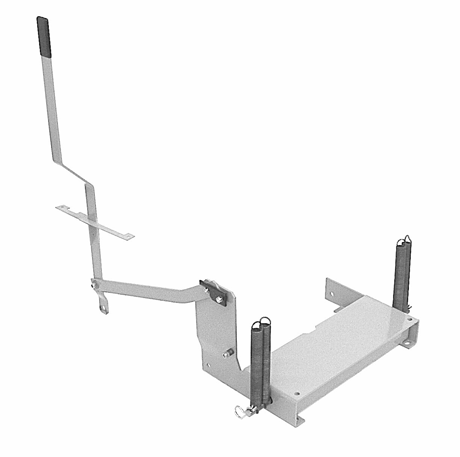 No mechanical lifting arm to mess with, use fingertip control to lift and lower front hitch system. 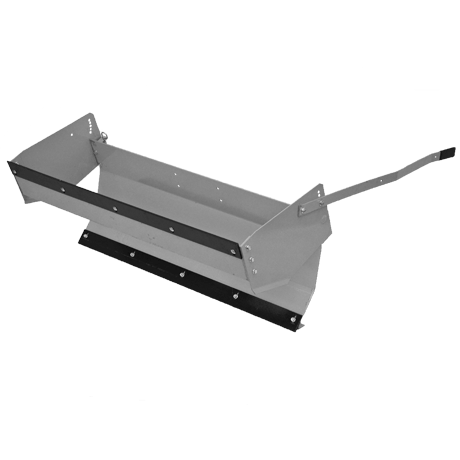 Front hitch lifts approx. 15 to 18 in. off the ground. Finish grade your driveway with your FREE dozer blade. Blade has three postions: left, right and straight. 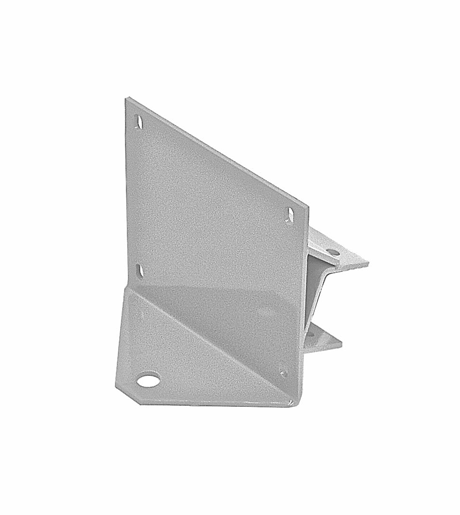 Maunally angles with easy to remove bolts. Down the line add other rear attachments to add even more versatility. 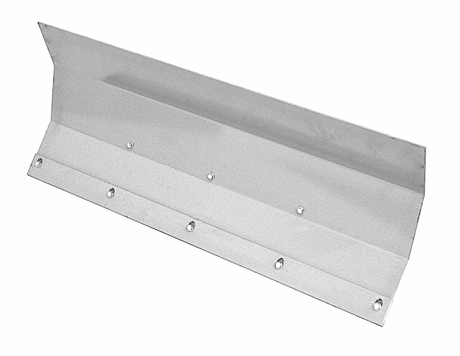 **Price does not include the RS58 – Rubber shoe kit shown in picture, any shipping cost or taxes if applicable. See How Easy Kit Assembly Can Really Be! If you know the difference between a phillips and a flat head screwdriver, you can successfully build this hard-working mini bulldozer. You’ll need only basic D-I-Y tools like socket wrenches, allen wrenches, tape measure, etc. If you’re an intermediate or advanced D-I-Y guy, you’ll still find it plenty engaging. After all, you’ve never built a genuine bulldozer before…have you? With the Manual you’ll also receive a FREE DVD showing the RS196K in action and see what it can do for you! You’ll see the MAGNATRAC® RS196K and many of its attachments in action! A $50 Bonus Refund Certificate is also included. Use it as “cash” when purchasing $50 or more of RS196K KITS or Accessories! 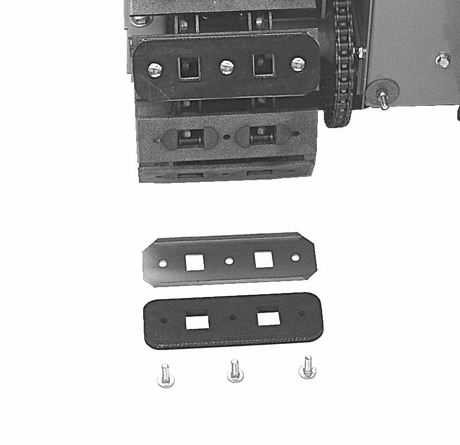 Buy your MAGNATRAC® RS196K KIT Assembly Manual TODAY! You’ll quickly see we’ve put together extraordinary detailed instructions. The Assembly Manual gives you all the pictures, directions, and information you need to build your own mini bulldozer. Best of all get FREE Priority Mail Shipping! Free Shipping applies to the RS196K-MANUAL within the United States only. Purchase online with your Credit, Debit card or with your PayPal account by clicking the “BUY NOW” button or purchase over the phone by calling toll free at 1.877.828.8323 Monday thru Friday between 8 AM to 5 PM (CST) to purchase. Tough jobs are no match. 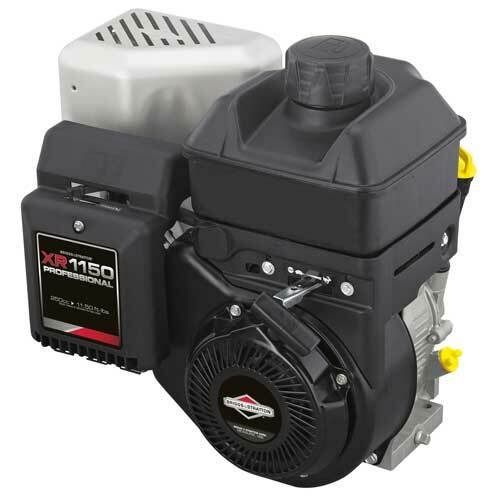 The 1150 XR Professional Series™ small engine for outdoor power equipment features Overhead Valve (OHV) technology, the DuraLube™ Splash Lubrication System and a host of rugged components to bring you the precise amount of power, performance and durability you need for increasing challenges. – Want to use your own engine? No Problem! We now offer the RS196K without the engine! This consistent and precise trademarked track design, has 7x greater sprocket support compared to a single sprocket design. The drive behind the MAGNATRAC TCP™ system is the matched sprockets of the rear drive and front idler sprocket. 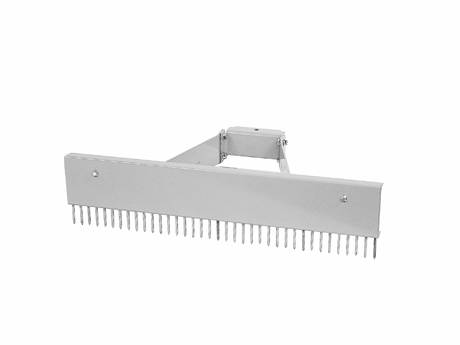 Simultaneously engaging both track chains, provides redundancy in case of debris interference. 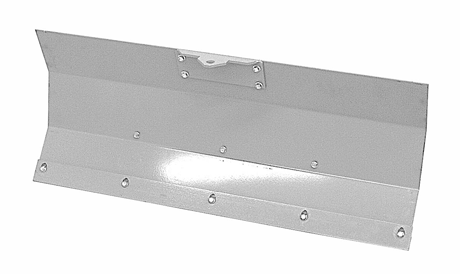 The MAGNATRAC® turns 360 degrees in half the space. Because you can rotate the tracks in opposite directions at the same time, the RS196K turns in it’s own length. The RS196K turns in just over 5 ft. A comparably powered compact tractor requires more than twice the space – over 10 ft. of clear space to turn around. 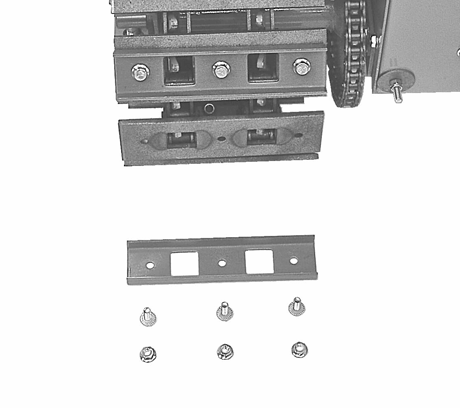 Left and right drive handles are centered with the operator, giving easy access to left and right track controls. Instant power to forward and reverse, means no shifting gears, just push one handle forward and the other rearward to turn on a dime. 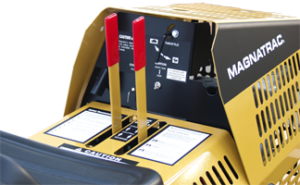 While firmly seated from the operator seat, you can fully operate the MAGNATRAC® RS196K. Dash mounted throttle and choke, make the RS196K easy to start, with no need to get off of the unit to mess with any controls. 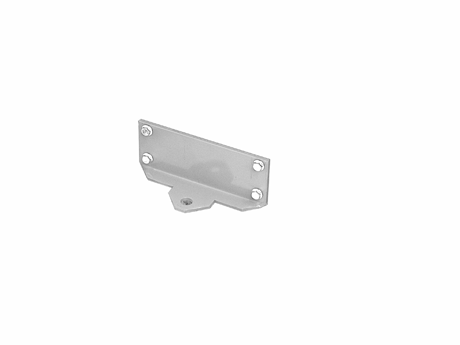 Simple and easy to turn hood knobs, give quick access to the engine compartment, while strong pivot bolts allow the hood to stay up for easy fuel refilling and checking of engine oil level. 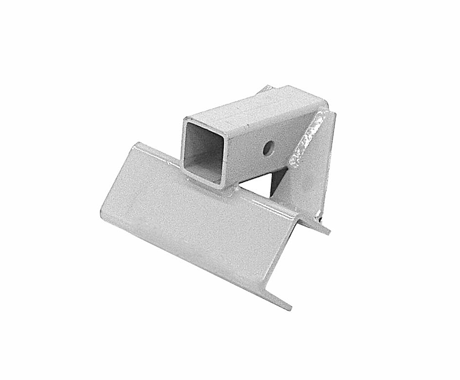 Thoughtfully designed grill, allows for engine exhaust to come straight out of the MAGNATRAC®, away from the operator. 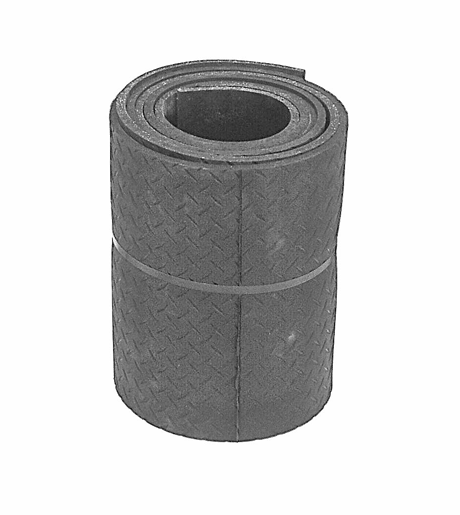 Deluxe non slip pads offer additional safety on a wet, damp day. 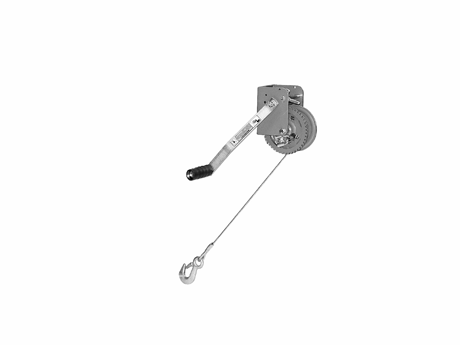 Simple to use pull brake allows for easy access to the brake while going down a hill or for transport on a trailer. 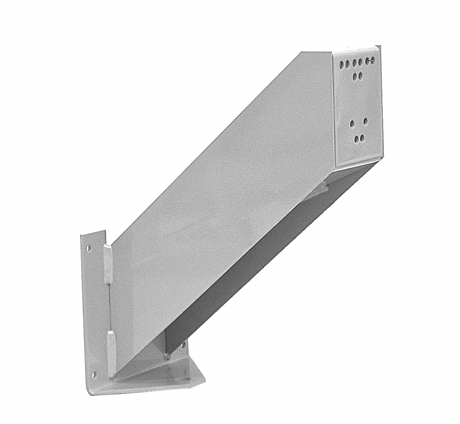 Strong, well designed fenders and fender brackets support even the heavier operator. Made in the USA quality is what you see when you look at a MAGNATRAC® RS196K up close and personal. Thoughtful design, quality craftsmanship are abundant throughout the unit. Superior fabricating, machining and robot welded components give you peace of mind, that the MAGNATRAC® RS196K means business! Q. Do you offer engine upgrades (larger HP/Torque) on the RS196K (DIY) or RS1000 for additional cost? A. We do not. We do offer the RS196K (D-I-Y Kit) without an engine, so you can supply your own. We do have a fair amount of people that will purchase an engine on their own and install it in the RS196K. Please keep in mind, if you do this, we cannot offer any engineering help. Your warranty may be affected as well. Another item of note, there is a lot of gearing built into both of those machines, which transfers into more power. Q. Does the RS196K kit not come with assembly instructions? Do I have to pay another $39 to get them? A. I think there is some confusion here. The RS196K Assembly manual is available to purchase if you'd like to take a look at the RS196K prior to purchase. Some customers will buy it ahead of time, to see if it is a project that they'd like to tackle. If you purchase a RS196K, it does come with the assembly manual. There is a $39 fee for the manual, but keep in mind it comes with a $50 coupon, that we subtract at the time of purchase. Your basically getting it for free. Does that make sense? Please call us at 1-877-828-8323 if you have additional questions. Q. What is the average build time? A. The average assembly build time on a RS196K would be approx. 23 to 36 hours, including the paint time of the parts. This can vary due to how much experience you have with painting. The paint dry times vary as well based on each environment that a person is working in. Cordless tools or pneumatic air tools (like an air compressor and air ratchets) will help in making sure the assembly process goes smoothly and all nuts and bolts will be properly tightened. Q. Can I order the RS196K without the engine? Q. Can I put a hydraulic pump and powered attachments on a RS196K? A. Great question! As far as a company policy, no you cannot. We only offer manual attachments for the RS196K. That being said, it is a home built, d-i-y kit, so other customers have customized the RS196K to their liking. For example: paint it another color, etc. For more information on the Power Pack for the MAGNATRAC RS1000, you can download this attachment manual. Q. How do you ship the RS196K or RS1000? A. We offer a variety of easy shipping and delivery options within the United States and Canada. From home delivery to terminal delivery and everything in-between, we have you covered. Shipping Terminal (USA & Canada) We ship to thousands of trucking terminals across the USA & Canada. While requesting a quote submit your zip code/postal code and we will find the trucking terminal closest to your location. When picking up at shipping terminal, you will need a trailer to accommodate your machine. The shipping terminal will load your machine into the back of a customer supplied trailer. Some customers hire a local flatbed towing service for larger deliveries to their home. Business Delivery (USA & Canada) The business you select must have a semi height loading dock or forklift to unload and accept delivery during normal business hours. You must make arrangements with the business to accept your delivery. Business locations could include: work places, feed stores, lumber yards, building supply centers, etc. Home Delivery with Lift-Gate Service (USA & Canada) Your home must be accessible by tractor-trailer*, and someone must be home to accept delivery. The truck driver will lower your item to the ground using a lowering platform on the back of the freight truck. All truck have pallet jacks to move the item off the platform. The driver can only move the item off the truck, not to a specified location. Deliveries to Other Countries Outside the USA & Canada All customers outside the US and Canada must find a freight forwarder to handle the shipping, crating, and any other duties, taxes or other fees. The freight forwarders only deliver to a business address. If you do not have a business address they can deliver to the countries closest port and then you can pick up the unit at the port or make other arrangements for the items to be directly delivered to you. Merchandise is payable directly to the Struck Corporation by wire transfer or PayPal. A 30% deposit is required to put an order into our production schedule with the remaining balance due right before we ship. Q. Can I buy the RS196K fully assembled? A. 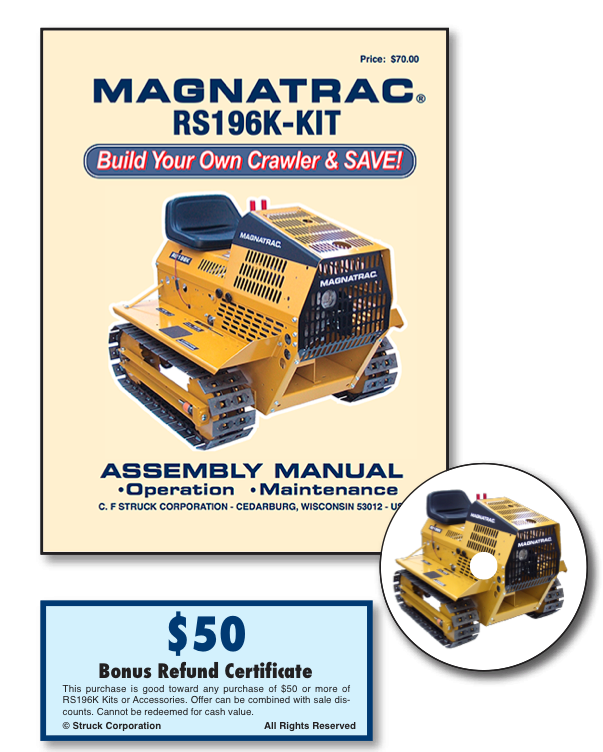 The MAGNATRAC RS196K is only sold as a “D-I-Y” Do-It-Yourself Kit. If you are looking for something assembled in the same size category, please take a look at the RS1000 model. 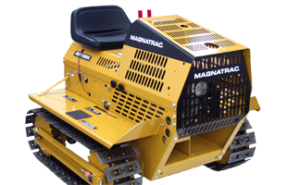 Many other companies make “garden type” implements/attachments that make the MAGNATRAC® RS196K even more versatile. Please speak with a Struck Representative to verify specs on specific third party attachments will be compatible with our equipment. Your home must be accessible by tractor-trailer*, and someone must be home to accept delivery. The truck driver will lower your item to the ground using a lowering platform on the back of the freight truck. All truck have pallet jacks to move the item off the platform. The driver can only move the item off the truck, not to a specified location.